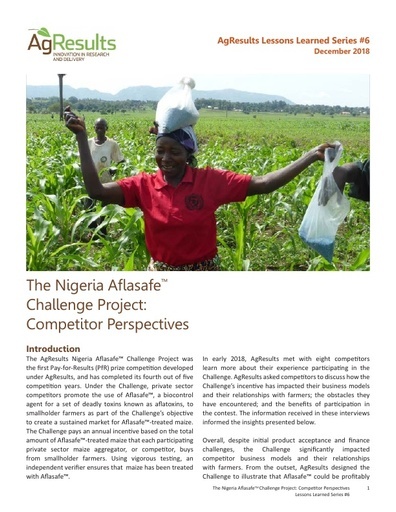 This evaluation for the Nigeria Aflasafe Challenge Project, conducted after Year 3, found that the project succeeded in creating a niche market for Aflasafe-treated maize. Aflasafe adoption increased by 56 percentage points, and average net income from maize increased by 16 percent. 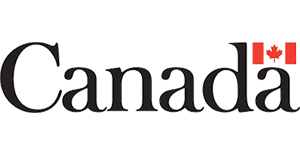 The evaluation found that it cost the project $43-85 to increase farmer income by $100 annually. What were some of the challenges and opportunities that arose among the private sector companies that participated in the Nigeria Aflasafe Challenge Project? 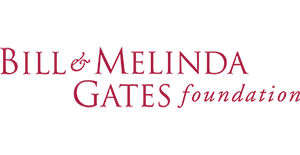 This Lessons Learned article shares insights that emerged from discussing competitors' experiences and perspectives. 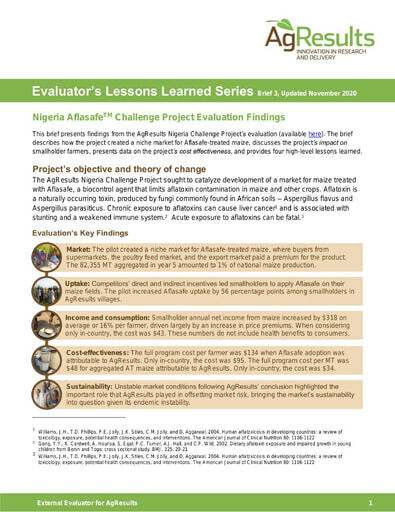 This October 2018 brief summarizes evaluation findings of the AgResults Nigeria Aflasafe Challenge Project. 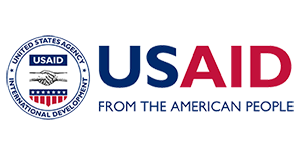 AgResults’ external evaluators found that the competition led to the creation of a niche market for Aflasafe-treated maize and an increase in net income from maize among the smallholder farmers reached by the project. The Nigeria Aflasafe Challenge Project was the first AgResults Pay-for-Results prize contest. 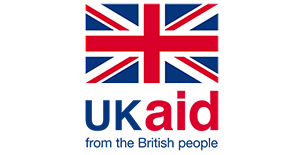 This Lessons Learned article outlines the project's development objectives and reflects on the role and value of the PfR structure. 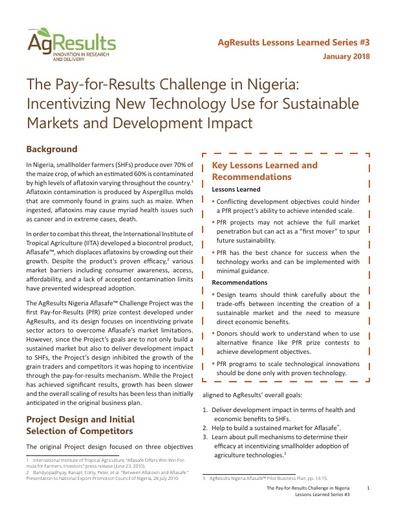 The evaluation design for the Nigeria Aflasafe Challenge Project lays out the approach to assess the project’s influence in stimulating a smallholder-inclusive market for Aflasafe-treated maize. Evaluators assess market impact using a structure-conduct-performance framework. To evaluate smallholder benefits, the design proposes a randomized control trial (later adapted to a quasi-experimental design).